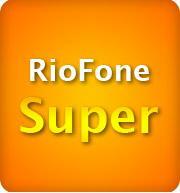 RioFone is the ultimate fixed phone solution, which allows quality and economy in one single product. RioFone is the only product in the market that provides an online control of expenses using a user friendly website. It works like a pre-paid fixed phone: you charge credits and use them freely. 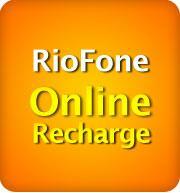 If you need to recharge the phone, just visit the website www.riofone.com.br. and buy more credits online or then subscribe to one of the monthly automatic recharging plans. When the credits are over, the phone still works for incoming calls. 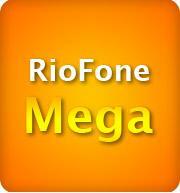 Finally, calls between RioFone lines are free of charge! What are you waiting for? Check our plans and select the one for you! Plan with a monthly credit of R$9,00 for usage in local calls, long distance and cell phones. 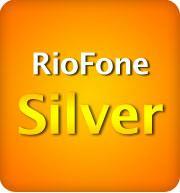 Calls between RioFone numbers are free of charge. Plan with a monthly credit of R$27,00 for usage in local calls, long distance and cell phones. Calls between RioFone numbers are free of charge. Plan with a monthly credit of R$45,00 for usage in local calls, long distance and cell phones. Calls between RioFone numbers are free of charge. Plan with a monthly credit of R$90,00 for usage in local calls, long distance and cell phones. 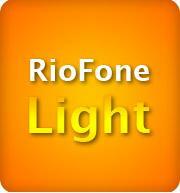 Calls between RioFone numbers are free of charge. Please access www.riofone.com.br. and recharge your RioFone using your credit card. We accept all major credit cards.